Dining rooms have traditionally been at the forefront of interior design. 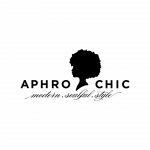 From the lavishly opulent dining rooms of antiquity to the Scandinavian-inspired simplicity of the mid-century styles, dining rooms are always a great place to look for all of the trends, tastes and style an era has to offer. Because of this, the dining room can be one of the most interesting spaces in your home to decorate. These multi-functional spaces let you play with a little bit of everything. Dining room furniture is distinctive—you’ll likely never find yourself placing a china cabinet in your bedroom or a dining table in your bathroom. Rugs look absolutely amazing in them, especially in open-plan spaces where they can really help to define the space. And art, textiles, and color all have a place in what can be the most creative room in your home. So, with all that these rooms have to offer, we wondered how do you define dining rooms in the modern day and answered with seven trends that define the modern dining room. For the past few years, lighting has been at the forefront of designer interest and creativity. But things have changed a lot since the days of ornate, expansive chandeliers. Today’s lighting is streamlined and sleek, it’s minimalist silhouette complementing the similarly clean lines of most contemporary dining furniture. The impact of the lighting in this dining room is subtle but significant. A cool DIY, this lighting is usually spotted in auto shops and warehouses for bright working lights. In this dining room, the oversized pendants take on a new dimension with a deep, black exterior. The black canned lights complement this modern dining table with legs in dark black and brass. They’re the ultimate modern pieces in this in-the-moment dining room. Dining room seating is essential. The right chairs can make the space. For contemporary dining chairs, color, pattern and texture all come into play when deciding on the perfect seating for your dining area. 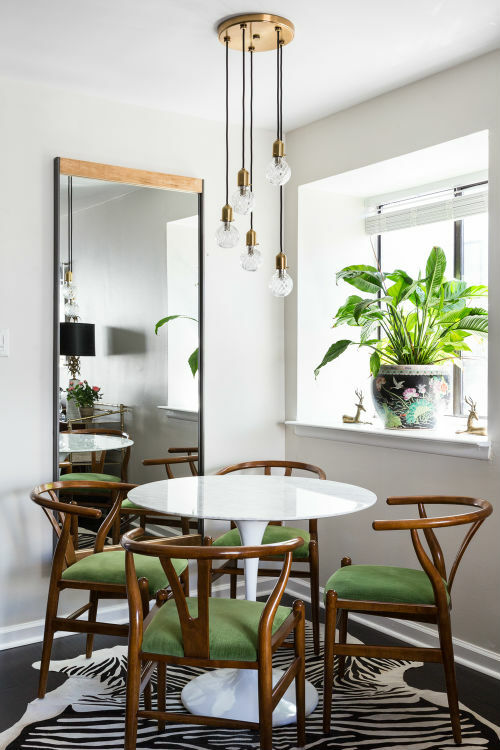 From classic choices like firm, bentwood chairs to avant-garde seating like Lucite ghost chairs, there are plenty of ways to make a statement around your dining room table with just the right dining chair. The chairs around this dining table have an artistic look created by their unique, feminine shape that is undeniable. The acrylic polycarbonate construction material has an ultra-modern, space-age feel. These streamlined chairs truly make this dining room. Rugs have always been one of the defining elements in a room, and dining rooms have benefited from their presence as much as any other space in the home. Like lighting, rugs were once defined almost exclusively by the opulence of their design, but modern pieces can be more subdued while still contributing to the overall look of the space. In the modern dining room, textured pieces, like a jute or seagrass rug are all that’s needed to complete the look. The rug in this dining room may look simple, but it has a lot of jobs to do. First, as it’s a dining area in an open-plan space, the jute rug defines the dining area, making it distinct from the rest of the room. Second, the neutral color palette allows the elements of the room to shine without getting in the way. Finally, this natural rug adds texture, and is hardwearing, which is perfect for family spaces. 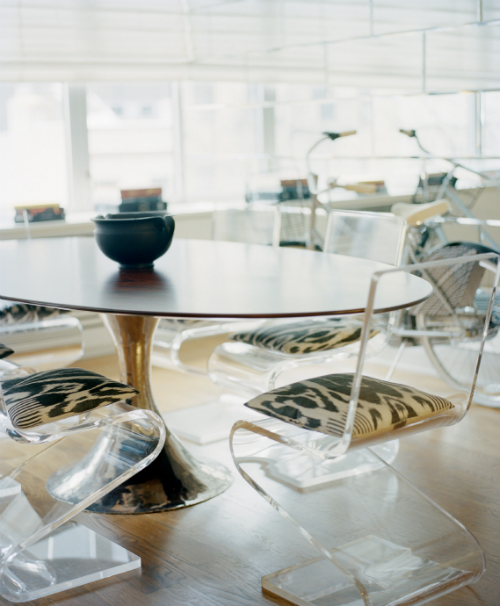 Even in the most modern spaces, vintage pieces can have a place. 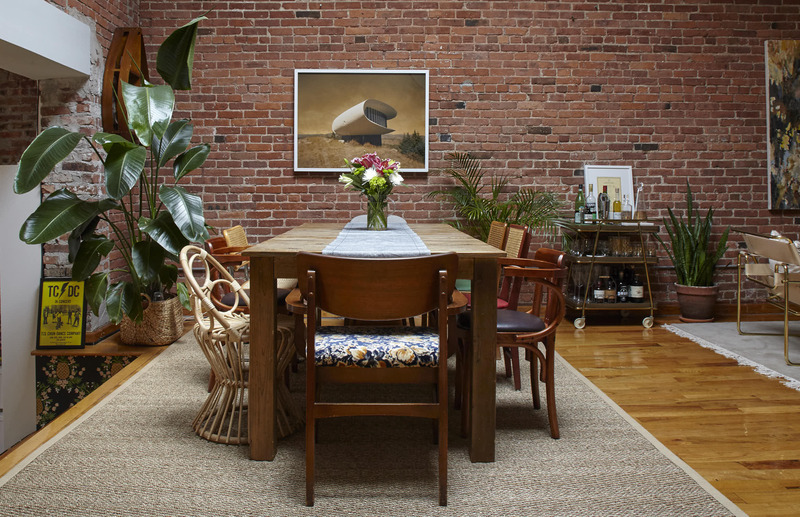 This dining area in Brooklyn is an example of how vintage elements can freshen up an interior. A collection of mid-century modern seating in a mix of silver and wood finishes stands out as statement pieces that make this dining room shine. The dining room can be a fun place for experimentation. You can bring in unexpected seating to make a statement. Maybe it’s the textured rug that will lift the room up. 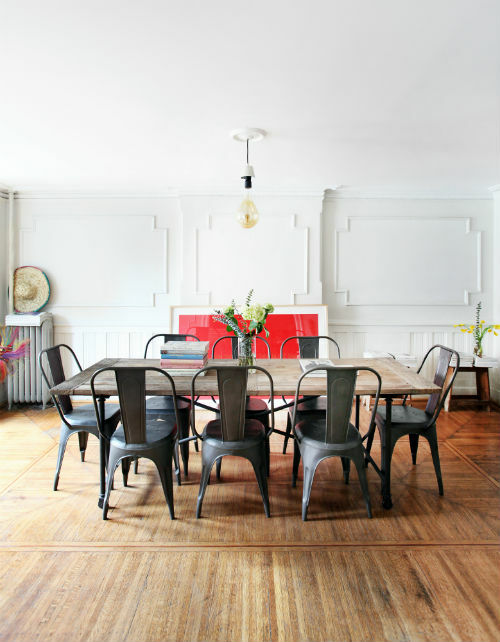 Or you can play with the room’s most dominant piece of furniture—the dining room table. Think beyond typical farmhouse tables and marble slabs to something a little more interesting for the dining room—a colorful dining table. 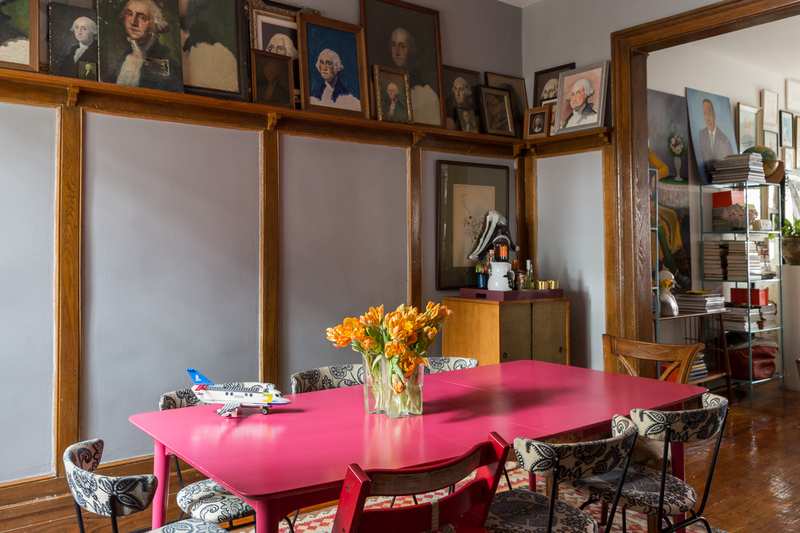 Here, a vintage find painted in magenta adds all the color this dining room needs. With just a few fresh coats of paint, your dining room can come to life with a table sporting your favorite shade. Art is a beautiful addition to any room in the home. In the dining room it can really play a role in adding to the color story of the space. 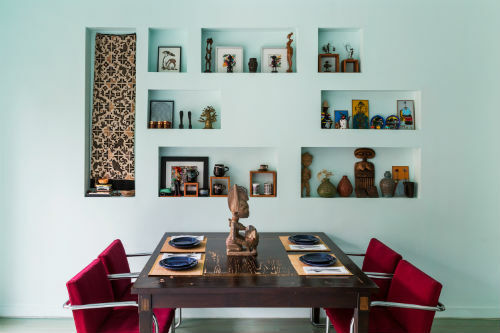 In this dining area, nooks have been carved out in the wall to display finds that have been collected during this homeowner’s travels. The bold array of artisan pieces complements the dining chairs in this colorful dining room. While the formal dining room might not have a place in many homes anymore, carving out an area for eating and entertaining is still important. Round dining tables allow for perfect small-space dining without a dedicated dining room being necessary. In the corner of this open-plan living area, a round dining table easily seats four without taking up too much of the floor plan. The shape is perfect for dining rooms where preserving space matters.